Beautiful Pinecone Collection includes Folding Storage Bin, Decorative Pillow, Clock, Mirror, Tissue cover Box and the Wastebasket. Sold Separately- Mix and Match! 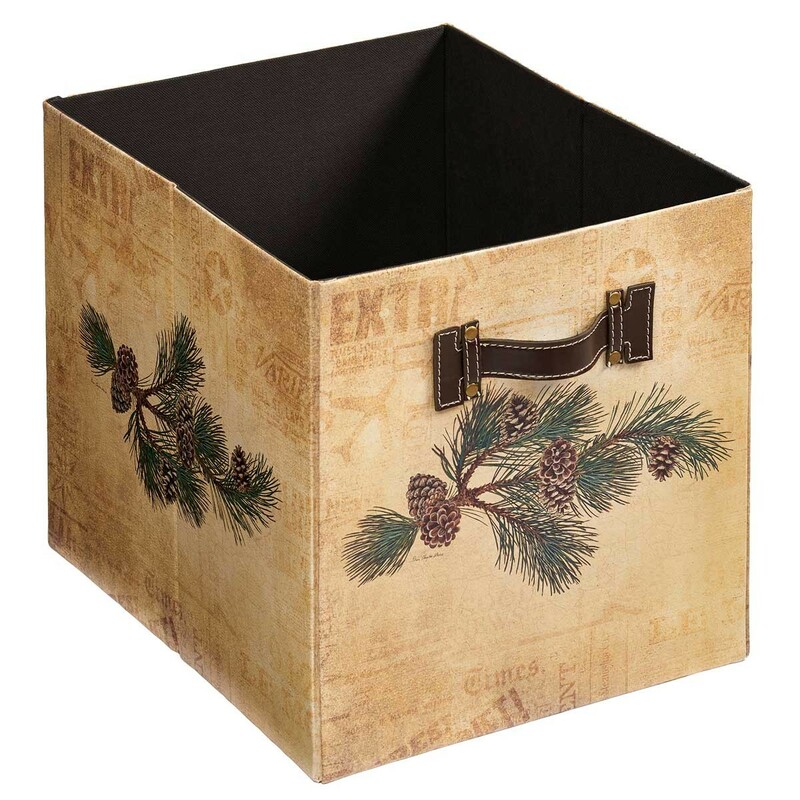 Tissue cover Box & Waste Basket: Crisp and fresh pinecone laden branches, beautifully fringed with needles, lend themselves perfectly to your nature-inspired décor. 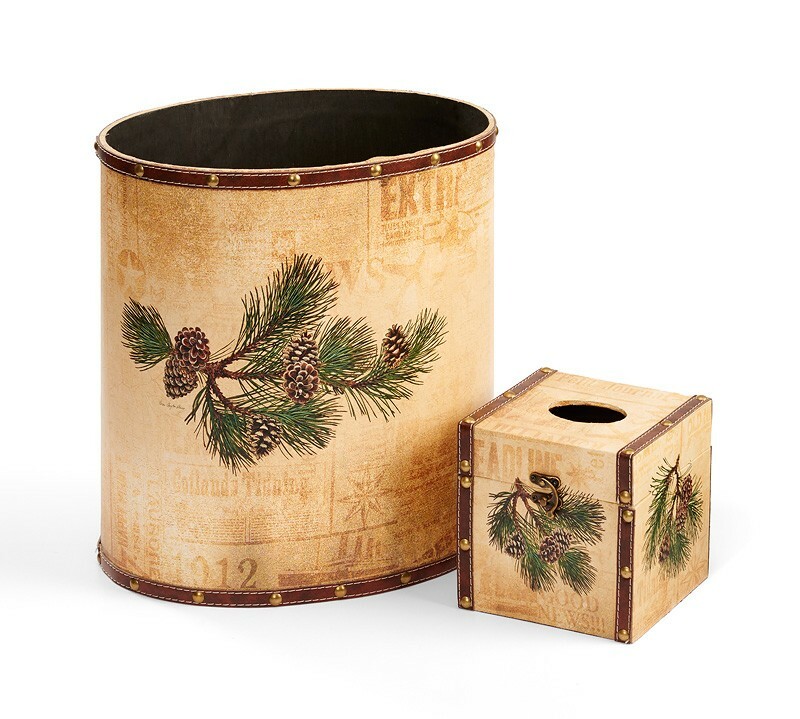 Tissue box cover and wastebasket are crafted from wood and covered with a printed canvas, accented by faux leather and antique metal rivet trim. Tissue box has a locking mechanism and hinges on the back. 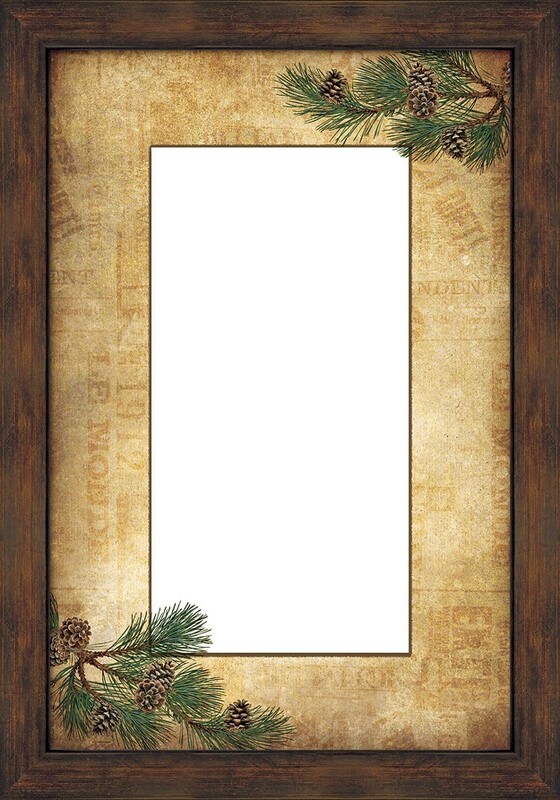 Mirror has a fade-resistant printed border and 1-1/2" dark oak-finished molding. 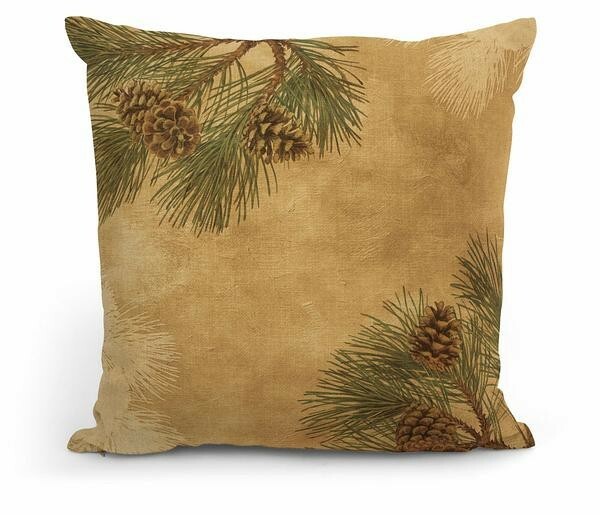 18"W x 26"H.
Pinecone 18" Decorative pillow: Linen weave pillow cover is polyester/cotton blend with 100% polyester fill; 1 lb. weight. Hand washing recommended for longer lasting color. Hidden zipper closure. Folding Storage Bin: Stylish storage! Decorative and functional, these collapsible storage cubes fold flat for easy storage when not in use. Great for storing just about anything. Made of faux leather material with antiqued rustic metal accents. 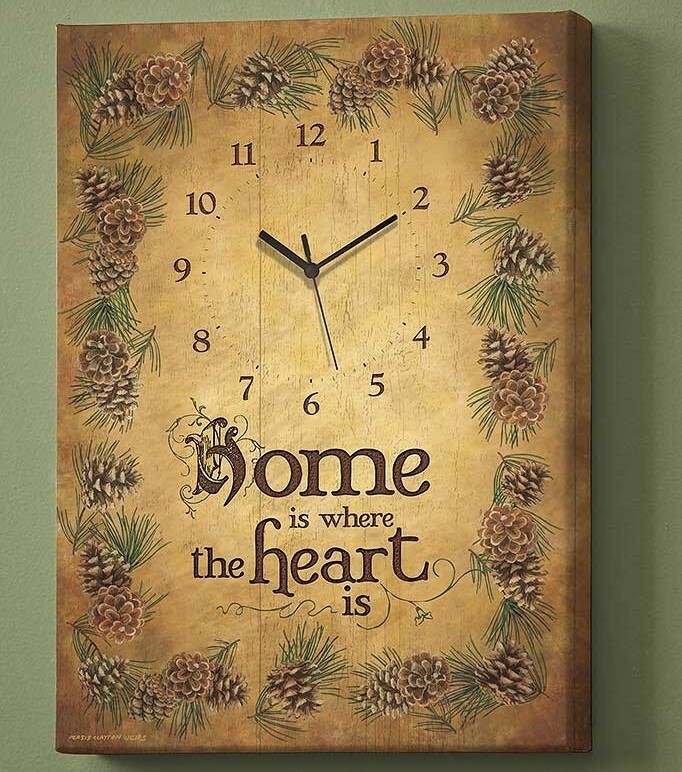 Unfolds to 12-3/4"H x 12-3/4"W x 15"D.
Home Is Where The Heart Is - Pinecone Wrapped Canvas Clock: A beautifully simple phrase, the heartwarming appeal of pinecones, and the timely need for a clock come together perfectly in this warm and welcoming wrapped canvas. Decorative hands complement the image. Precision quartz movement. AA battery required (not included). 18" x 13" x 1-1/4". Mix & Match -sold separately!